Staying in an RV is a great way to vacation, but staying in an RV in a luxury RV park is nothing short of amazing. With amenities that you would find at the poshest resorts, enough outdoor activities to last a lifetime, and views to rival a postcard photograph, it’s no wonder that millions of Americans flock to luxury RV parks each year. But how do you know which ones are the best? Luxury RV parks aren’t cheap, so you want to be sure you’re spending the money on the right place. Luckily, we’ve compiled a list of the top luxury RV parks in America. Don’t worry; you can thank us later! What’s the Difference Between a Luxury RV Resort and a Standard RV Park? 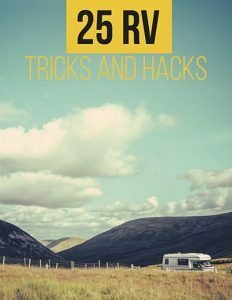 Besides the main difference between a luxury RV resort and a regular resort, which is price, the amenities and activities you’ll find are vastly different. A decent RV park will have hookups, bathrooms, and maybe a few things for the kids to do. Some resorts may even have a pool, golf, and other activities. Luxury RV resorts, however, pull out all the stops. You’ll find amenities like spas, fancy clubhouses and gatherings, community fire pits, golf courses, and much more. Best of all, you’ll get to enjoy some of the most magnificent views in the country while you’re staying at a luxury camping resort. How Much Do High-End Luxury RV Parks Cost? Of course, beautiful vistas and enticing amenities come at a price, and it’s not cheap. Rates vary widely depending on location, season, and how far in advance you book it. For an in-season rental, rates usually start anywhere from $70 to $100+ per night. 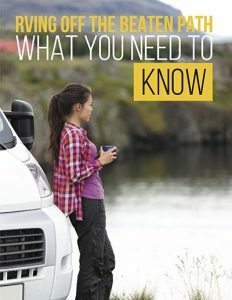 In addition, many luxury motorhome parks have a minimum stay requirement. A week-long stay at even the most basic luxury RV park could cost $1,000 or more. The first place to look for luxury RV parks in your area is right here on this list! We’ve made this guide to be the most comprehensive list of luxury RV resorts on the internet. Many of the luxury RV parks listed here are organized by state. Otherwise, browse through the general list to find nearby luxury RV parks. Once you find a park you’re interested in, check out their website and look for reviews on Yelp or TripAdvisor. Reading reviews from other park visitors is the best way to make sure your stay will be worth the price. Hilton Head is a beautiful place to stay as it is; staying in a luxury RV resort in Hilton Head, however, takes it to a whole new level of glamour. The Hilton Head Motorcoach Resort boasts amenities like tennis and basketball courts, a lounge room, a spa and fitness center, marble bathrooms, and much more. The beach is just a short walk away, or you can spend the day exploring the surrounding forest. Rates start at $70 per night during peak season. Consistently rated as a top luxury RV resort, Bella Terra is a highly-respected RV resort on the gulf coast. Here, you’ll find amenities like a small movie theater, an infinity-edge pool and hot tub, private bath houses, a putting green, and more. If you’re looking for something to do, you can participate in one of the daily events or activities. Or, head to one of the many surrounding golf courses. Oh, and if you need help with anything, feel free to take advantage of the concierge services. Contact Bella Terra for rates and availability. Located in scenic Newport Beach, Newport Dunes is truly a sight to behold. The resort sits on one mile of beach-front property, where you can park your RV and fall asleep to the sound of the waves. Newport Dunes is a nature lover’s paradise: you can check out the Back Bay Nature Preserve, rent a boat and go sailing, swim in the lagoon, or pitch a tent and camp on the beach. Of course, the resort has five-star amenities, like a pool and spa, immaculately landscaped grounds, and an onsite marketplace and bistro. During peak season, rates start at $79 per night for the smallest sites and $99 for basic larger sites. Solstice is one of the top-visited luxury RV resorts on this list. Conveniently located near Las Vegas, Solstice is a mecca for fun-loving RVers. But that’s not all; you’ll also enjoy the surrounding mountain views and walking trails throughout the area. Amenities include a bocce ball court, a game room with a pool table, lounge areas, and more. They’re currently expanding the resort to include a pool, hot tub, pet park, and other features. Contact Solstice for rates and availability. Petoskey is located in Michigan’s Lower Peninsula, along the shores of Lake Michigan. Petoskey RV Resort is arguably the most idyllic park on this list. It’s been given a 10/10 rating by Good Sam Club and is considered the best RV resort in the state. Enjoy some of Petoskey’s five-star amenities, like the heated outdoor pool, fitness center and sauna, putting course, or one of the walking paths for you and your dog. Or, visit the Grand Lodge, where you can play pool, watch a movie in the home theater, or hold a cocktail party for your neighbors. Rates start at $59. 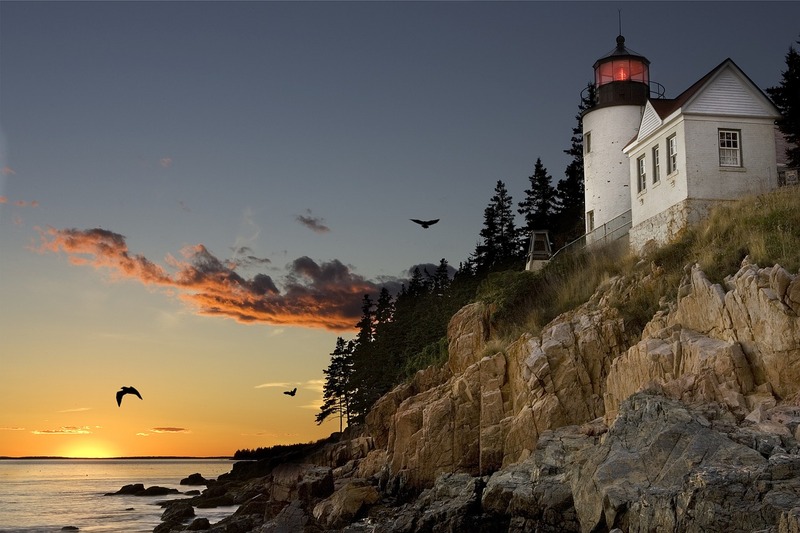 Foxboro, MA is a great halfway point between Boston and Cape Cod, making Normandy Farms the perfect central hub for your Massachusetts vacation. Named as one of the premier parks in the world, Normandy Farms has activities and amenities for the whole family. Kids can hang out at the bike park or the recreation lodge before grabbing something to eat at the snack bar. Meanwhile, you can relax with a massage in the wellness center, take to the dog for a walk in the dog park, or test your skills on the 18-hole disc golf course. During peak season, sites with full hookups start at $78. 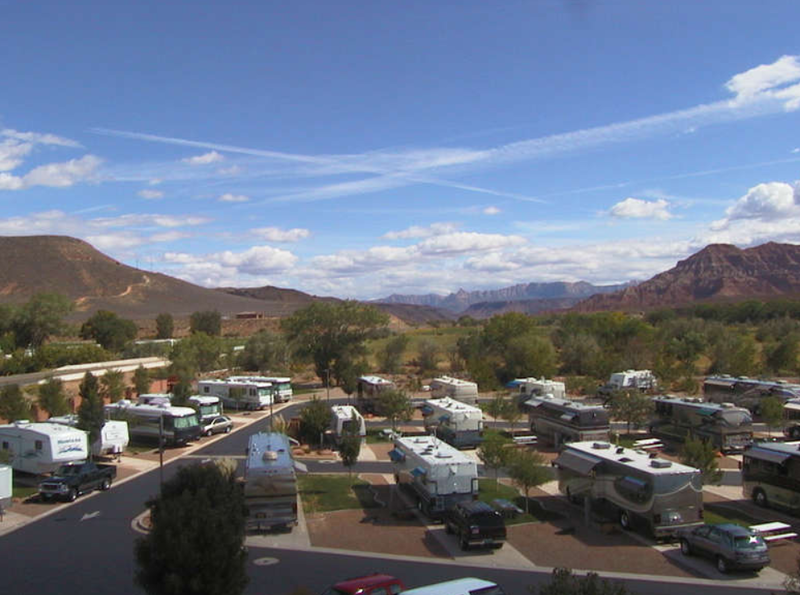 Located along the shores of the Virgin River, Zion River Resort is a top-rated RV park with unbeatable views. The park is sandwiched between two rivers and surrounded by towering mountains. There’s plenty outdoorsy stuff to do here – Zion National Park is just a short shuttle ride away. Or, hang back at the resort and enjoy the game room, take a dip in the pool, or mine for gems with the kids at the mining sluice. The resort is open year-round and offers snowbird specials to travelers looking to avoid the crowds and costs of peak season. During high season, a premium pull-through spot along the river costs $69 per night. 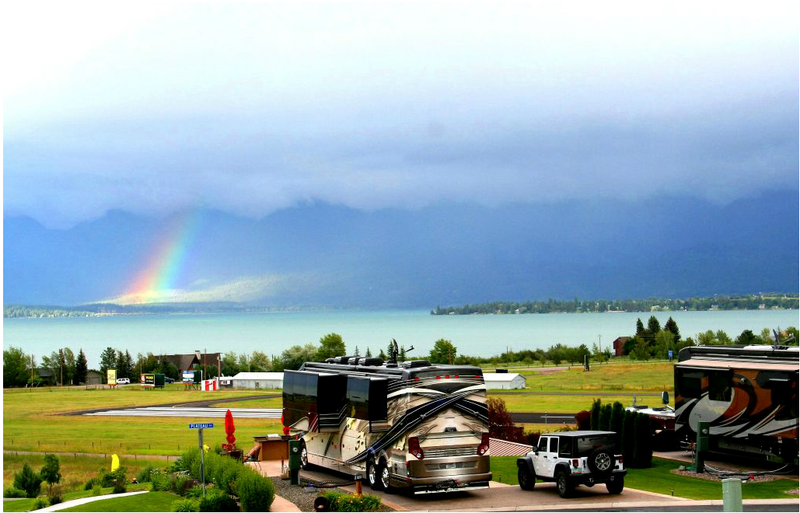 If you’re looking for an exclusive resort for Class A RVs, Polson is the way to go. As the top-rated RV resort in Montana, Polson has received perfect scores from AAA, Woodall’s, and Trailer Life. The resort looks out on Flathead Lake and the Mission Mountains. Hoping to visit Glacier Park? It’s just a short drive from the resort. Aside from taking in the view, there’s plenty to do, whether working out in the gym or hanging out on the activity deck. If you opt for a premium spot, you’ll enjoy a private BBQ pit, fireplace, and patio furniture, right outside your RV. During the summer, standard daily rates start at $74.85, while premium spots start at $117.65. Mountain Falls sits amongst the Blue Ridge Mountains in the Lake Toxaway region of North Carolina. The resort is Class A exclusive and is open year-round. 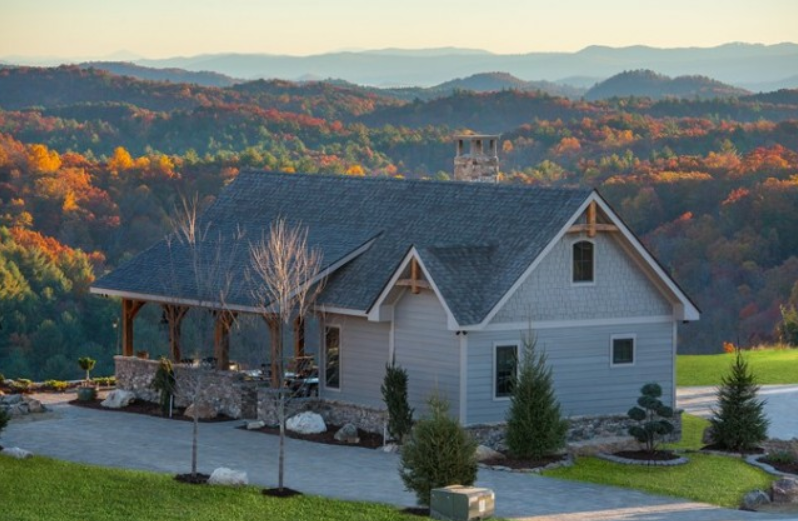 A stay at Mountain Falls is unlike any other – the resort sits at a 3200-foot elevation, looking out on the surrounding mountains and valleys. You can experience the natural beauty of the four seasons here, whether the blossoms of spring and summer, foliage in autumn, or the snow-covered mountain peaks in winter. Amenities include two pools and bathhouses, a hot spa, and a private clubhouse. If you’re looking for activities, you can play tennis, pickleball, bocce, or golf. Or, ask the onsite concierge for advice. Rates vary widely depending on your view and the season, but they start at $65 per night for the most basic site. Each site is meticulously appointed at the Motorcoach Country Club. The landscape looks like something out of a movie, with gorgeous architecture and beautiful trees and flowers. The Motorcoach Country Club is located in the popular Palm Springs area of California. No matter which of the three lot styles you choose, you’ll enjoy awe-inspiring views of the surrounding scenery. This resort has some of the most luxurious amenities on this list, like a yacht club, club house, 5-star restaurant, private docks, three swimming pools, and much more. Rates start at $99 from May- October, and $114 from November- April. Have you already stayed at America’s top ten resorts and you’re looking for something else? These other resorts are just as beautiful, just as accommodating, and just as luxurious. We’ve organized some of the remaining luxury RV resorts on this list by the most popular destination states. We’ve included luxury RV parks from all over the country. So whether you want to explore the Eastern coastline or check out the Southwestern desert, you won’t have to look far for a gorgeous place to stay! 11. Citrus Valley RV Resort – Award-winning resort with outdoor amenities like horseshoe pits, a swimming pool, a putting green, and a community fire pit. Rates vary; contact for details. 12. Coral Sands RV Resort – Gorgeous oceanfront resort with a pool, gazebos, and picnic tables right on the water. Convenient to many central Florida attractions. Contact for rates. 13. Everglades Isle – An extremely upscale motorcoach resort that’s right on the Barron River. Amenities include an 8,500 sq. foot clubhouse with a movie theater, spa treatments, and fitness center. Interior sites start at $110 per night; waterfront sites start at $115. 14. Riverbend Motorcoach Resort – Class A exclusive resort located on the Caloosahatchee River. Resort features include two clubhouses, one of which has a seasonal bar and restaurant. Peak season rates start at $120 for a woodland site. 15. Naples Motorcoach Resort – Breathtaking oceanfront resort with several pools, bathhouses, and outdoor spas. Featuring a boat ramp and dock with direct access to the Gulf. Mainly sells sites for ownership, but you can call to request a “preview” rental. 16. Pelican Lake Motorcoach Resort – Naples resort that sits on a fully-stocked, 35-acre lake. Amenities include a clubhouse, library, heated Olympic pool and jacuzzi, and plenty of activities. Rates start at $130 for an off-lake site in peak season. 17. Destin West RV Resort – Okaloosa Island resort overlooking the Choctawhatchee Bay. Guests have access to the Ramada Plaza Beach Resort’s amenities and beach. Peak season rates start at $129 per night. 18. Camp Gulf – Top-rated RV resort with sites directly on Miramar Beach. Amenities include a fully-equipped beach house, two pools, and tons of activities. Peak season rates start at $199 for a beachfront site. 19. Durango RV Resort – Top-rated RV resort on the Sacramento River in Red Bluff, California. Amenities include a lodge, pool and hot tub, massages, and a wealth of on-site activities. Rates starts at $60 per day for a riverfront site. 20. Yanks RV Resort – Luxury RV resort near Monterey. Resort facilities include a heated pool and spa, laundry room and store, pet park, and outdoor patio lounge with a fireplace. Rates start at $44 for a standard, back-in site. 21. Vines RV Resort – Wine-country RV resort in Paso Robles. Amenities include a pool, dog park, library, fitness center, and a store. Rates vary; contact for more information. 22. Paradise by The Sea RV Resort – The only beach RV resort in southern California. Convenient to San Diego and coastal towns. Top rated on Trip Advisor with plenty of luxury amenities. Peak season rates start at $90 for a standard site. 23. Outdoor Resort Indio – Class A exclusive resort in Coachella Valley. A highly active and social resort with dinner shows, dancing, and much more. Regular season rates start at $110 for a standard site. 24. 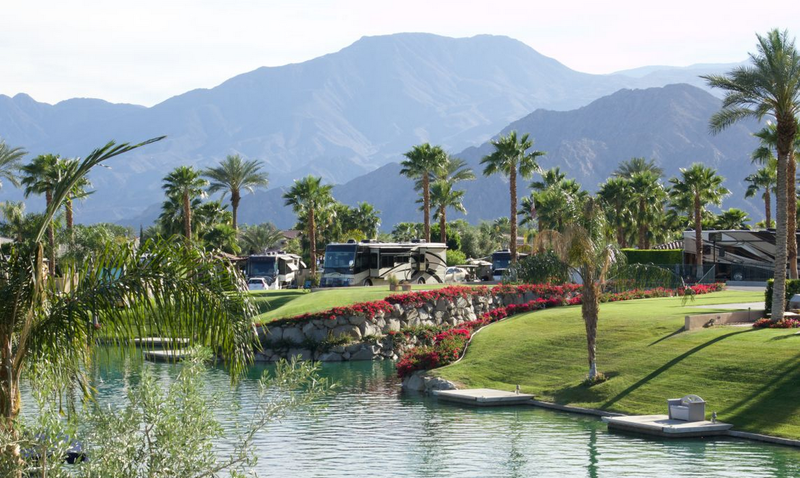 The Springs at Borrego RV Resort – Golf-oriented luxury RV resort in Borrego Springs. Award-winning resort with amenities like BBQ pits, hot mineral baths, a dog park, pool, and more. Rates vary, but they often have package specials. 25. Desert Shores Luxury Motorcoach RV Resort – Indio Class A exclusive resort with exceptional luxuries. Lakeside lots include private pools and spas and covered patios. Mostly deals in ownership; rentals are available for 1-month and 2-months stays only. Check website for details. 26. The Vineyards Luxury Motorcoach Resort – Newer motorcoach resort in Coachella Valley. Amenities include a golf course, pool and hot tub, fitness center, and clubhouse. Rental rates vary; contact for details. 27. Eagle View Resort at Fort Mcdowell – Good Sam top-rated RV resort just outside of Scottsdale. Amenities include a heated pool and spa, large clubhouse, pet park, and a fitness center. Peak season rates start at $48 for a standard site. 28. Refuge Motorcoach Resort – Golf-oriented country club with RV sites. Surrounded by views of the mountains and Lake Havasu. Rates vary; contact for details. 29. Havasu RV Resort – RV resort that received Woodall’s highest rating. Amenities include two heated pools and jacuzzis, a golf course, a clubhouse and activity center, outdoor fire pit, and much more. Weekly rentals only, starting at $300 in the off-season. 30. Voyager Hotel & RV Resort – Received a 2016 certificate of excellence from TripAdvisor. Resort community in Tucson with activities like crafting, games, sports, dance, and more. Rates vary by season; contact for details. 31. Hearthside Grove Motorcoach Resort – Five-star resort in scenic Petoskey. A plethora of upscale amenities including a clubhouse and theater, cooking classes with local chefs, a pool, stone fireplaces, and more. Rates start at $99 per night for a standard site during peak season. 32. River Ridge RV Resort – Sports-focused luxury RV resort on Hardy Dam in Stanwood. Amenities include a heated pool, clubhouse, volleyball and tennis courts, a boat launch, and more. Rates start at $50 per night for a grass site during peak season. 33. 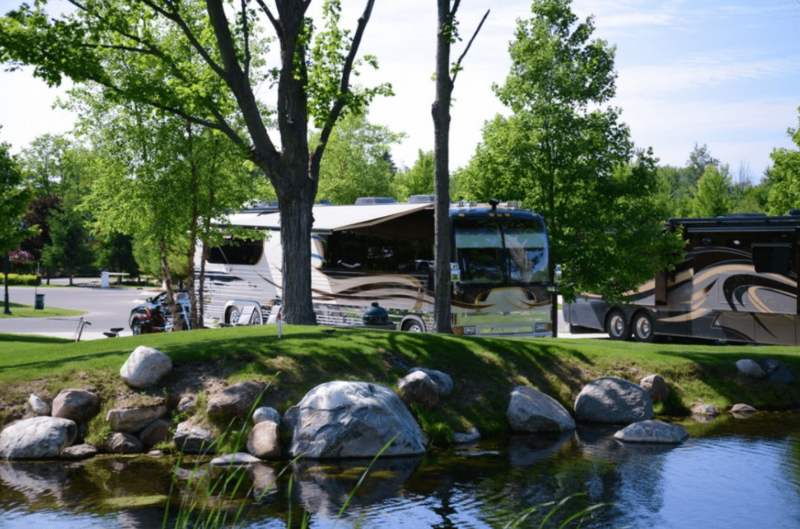 Silver Creek RV Resort – West Michigan resort located 3 miles from Silver Lake. Active community with plenty of things to do, like bean bag toss, basketball, swimming, and arcade games. Nightly rates vary by season; contact for details. 34. Eastpointe RV Resort – Grand Haven RV resort right on the Grand River. Amenities include a general store, pool and hot tub, pickleball and volleyball, and upcoming boat slips. Riverview rates start at $75 per night. 35. Wildflower Creek Motorcoach Resort – Class A exclusive RV resort on the Highlands plateau in North Carolina. Amenities include a clubhouse for games and drinks, a social center, a waterfall swimming hole, and a croquet court. Ownership only at the moment; contact for details. 36. Apple Valley Farm Motorcoach Resort – Waterfront luxury RV resort on Lake Lure. Class A-only sites with access to Rumbling Bald Resort amenities like swimming pools, golf, and tennis. Two-night minimum rental; contact for details. 37. Rutledge Lake – Luxury RV park with sites right on Rutledge Lake. Amenities include a recreation room with plenty of games, a pool, and a general store. Peak season weekend rates start at $52 for a standard site. 38. Mountain Views RV Resort – Creede, Colorado luxury RV resort on the Rio Grande River. Given a five-star rating by Woodall’s. Exclusive Class A Resort section is coming soon. Rates vary by section and season; contact for details. 39. Tiger Run Resort – Luxury all-season resort in the mountains of Breckenridge. Amenities include a pool and hot tubs, fitness center, game room, fire pit, and more. Peak season rates start at $80 per night for a standard site. 40. Wolf Creek Run Motorcoach Resort – Class A exclusive resort in Pagosa Springs. Situated on the San Juan River with several waterfront sites. Amenities include a clubhouse, hot springs, and community fire pit. Rates start at $60 for a standard site. 41. 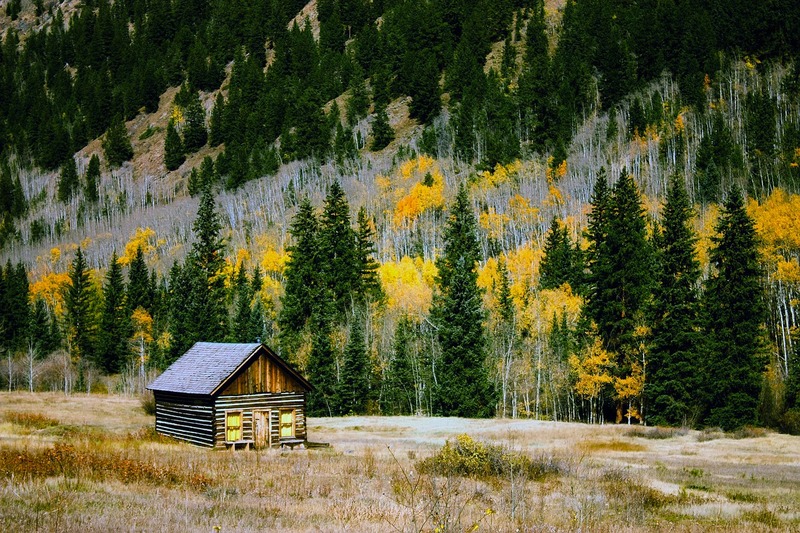 Mountaindale Cabins & RV Resort – One of the highest-rated RV resorts in the state. Accommodates RVs of all sizes and offers luxury amenities like a game room, pavilions, bathhouses, and more. Rates start at $49 per night. 42. Bulldog Park – Luxury RV park in Athens. A fun-loving group of campers who enjoy game-day tailgating and other events. Ownership only, though owners are allowed to lease their sites privately. Contact for details. 43. Crossing Creeks RV Resort & Spa – Resort in the Blue Ridge Mountains that accepts all types of RVs. Amenities include a clubhouse, pool and spa, saunas, tennis courts, and more. Rates start at $73 for a standard site in peak season. 44. Pine Mountain RV Resort – Well-known luxury resort and campground located minutes from Calloway Gardens. Features include a beer and wine store, pool, on-site concierge, and fire pits. Rates start at $42.99 for a standard site. 45. River Vista RV Resort – Top-rated RV resort in a Smoky Mountain valley. Tons of activities for the whole family, including gem mining, hiking, and golf. Horseback riding and zip lining are just minutes away. Rates start at $44.99 for an economy site during peak travel dates. 46. Buena Vista Coastal RV Resort – Orange Beach luxury resort that abuts a State Park, with a beach across the street. Upscale amenities like an indoor heated pool, 6,000 sq. foot clubhouse, and an outdoor lazy river. Daily rentals start at $65 in the off-season, $90 in the spring and summer. 47. Pandion Ridge Luxury RV Resort – Brand new luxury RV resort in Orange Beach. Amenities include a 7,000 sq. foot lodge clubhouse, community fire pit, and a business center. Rates start at $64 per night for a standard site during peak season. 48. Lake Osprey RV Resort – Golf-oriented RV resort and country club on the North Shore of the Gulf Coast. Amenities include a clubhouse and Tiki bar, championship golf course, and a pool and hot tub. Rates vary; contact for specials and packages. 49. Bay Palm RV Resort – Waterfront resort on Mobile Bay. New renovations include a pool and fire pits. Rates start at $55 for a back-in site during the summer. 50. Two Rivers Landing RV Resort – Sevierville RV resort along the banks of the French Broad River. Given a perfect score by Good Sam with amenities like riverfront sites, clubhouse, pool, and tile bathrooms. Rates start at $65 per day for a riverfront, Class A site. 51. Smoky Mountain Premier RV Resort – New RV park in the Pigeon Forge area. Right across from the Great Smoky Mountain National Park. Luxury amenities and beautiful views abound. Rates start at $52 per night for a standard site. 52. River Plantation RV Resort – An RVC Outdoors resort in Sevierville. Amenities include two pools and a hot tub, a fire pit, and an on-site concierge. Rates start at $42.50 for a basic site during peak season. 53. The Dell Motorcoach Resort at Hidden Mountain – Campground and RV resort in Gatlinburg. Sites have mountain views and beautiful landscaping. Rates vary by site; contact for details. 54. Willowtree RV Resort and Campground – Wooded RV resort near Myrtle Beach. Top-rated by Woodall’s and Trailer Life. Amenities include a pool, banquet hall, and lakes for fishing. Rates start at $65 per night for a basic site in peak season. 55. 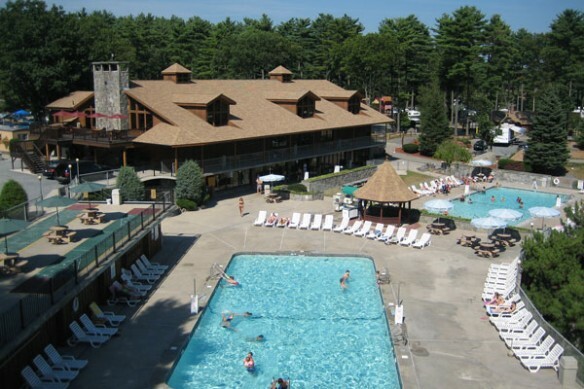 Lake Greenwood Motorcoach Resort – Lakefront resort in Cross Hill. Includes luxury features like boat docks, a clubhouse, and a heated pool and spa. Rates start at $49 per night. 56. Briarcliffe RV Resort – High-end resort on the Grand Strand in Myrtle Beach. Amenities include full-service bathhouses, planned activities, and an Olympic swimming pool. Rental rates start at $70 per night during peak season. 57. Ozarks RV Resort – Luxury RV resort on Table Rock Lake in Oak Grove. Features lighted tennis courts, a nine-hole golf course, and two pools and hot tubs. Rates vary by site; contact for details. 58. Catherine’s Landing – An RVC Outdoors Destination with a mile of waterfront on Lake Catherine. Amenities include a beer and wine shop, on-site concierge, kayak rentals, and more. Rates start at $59.99 for a waterfront site. 59. Crown Villa RV Resort – Beautifully appointed resort in southern Bend. Relaxing, country-like setting with custom landscaping at each site, a large courtyard, Jacuzzi spa, dog park, and more. Daily rates start at $69 for a standard site during prime season. 60. Pacific Shores Motorcoach Resort – Oceanfront resort in Newport. Open year-round; only accepts Class A and C motorhomes 25’ or longer. Amenities include a golf course, indoor pool, pet park, and basketball court. Nightly rates start at $80 for an oceanfront site. 61. Olde Stone Village – Manicured RV community in the heart of Oregon wine country. Received perfect Good Sam Club ratings in all three areas. Amenities include a heated pool, clubhouse, free cable and Wi-Fi, and a sports court. Daily rates start at $44. 62. Toutle River RV Resort – Large RV resort located at the meeting point of the Toutle and Cowlitz Rivers. Lots of outdoor amenities and activities, including some of the best fishing in the state, a clubhouse/pool/spa area, general store, stone fire pits, a smokehouse, and more. Rates vary; contact for details. 63. Spokane RV Resort – Five-star resort for big rigs in Deer Park. Ample amenities like a recreational pavilion with a piano, fitness area, and dance floor. Outdoor features include a mountain-view golf course, two dog runs, and a swimming pool and hot tub. Rates start at $41 per night. 64. Buckhorn Lake RV Resort – High-end RV resort in the Texas Hill Country. Tons of conveniences and pleasantries, like a stocked pond for fishing, country store, swimming pools and spas, and much more. On-site RV services are available through a third party. Rates start at $44 per night for a basic site. 65. Alsatian RV Resort – San Antonio area resort with a perfect Good Sam Rating. Amenities include an infinity pool and hot tub, 18-hole golf course, clubhouse, and organized activities. Basic sites start at $35; luxury casita sites start at $95. 66. Blazing Star Luxury RV Resort – A Sun RV Resort in San Antonio. Family-oriented campground with a general store, pool, arcade, clubhouse, and more. Rates start at $53 for an economy site during the weekend. 67. Las Vegas Motorcoach Resort – Exceptionally-appointed luxury RV resort for Class A motorcoaches. Beautiful facilities, including a 10,000 sq. foot clubhouse, on-site restaurant, spa and fitness center, and several pools. Rates start at $73 per night for a standard lot during peak season. 68. Oasis Las Vegas RV Resort – Big rig friendly resort with a five-star rating from Woodall’s. Amenities include an 18-hole golf course, fitness center, convenience store, horseshoe pits, and more. Rates start at $52 per night for a standard spot on the weekend. 69. Gulf Shores luxury RV – Alabama luxury RV park that is steps away from the Gulf of Mexico. Amenities include a swimming pool, volleyball and horseshoe courts, and free cable and Wi-Fi. Rates Start at $40 per night. 70. Myakka River Motorcoach Resort – Charlotte Harbor RV resort on the Southwest Florida Gulf Coast. The resort is in an award-winning location. Amenities include a two-story clubhouse with a theater, pool, billiard table and bar, and a games and library section. Nightly rates start at $110 for a standard spot during peak season. 71. Southern Oaks Luxury RV Resort – Aransas Pass, Texas RV resort that’s a short drive to the coast. Rated five stars by Woodall’s. Luxury features include a community clubhouse, pool and bar area, dog park, and game rooms. Rates start at $45 per night for a back-in spot. 72. Santa Rosa RV Resort – High-end waterfront resort in Navarre, Florida. Amenities include a waterfront heated pool, fishing pier, outdoor common area with fire pit, dog park, and more. Rates vary by site and season; contact for details. 73. Moorings Oceanfront Resort – Small resort on the coast of Penobscot Bay in Maine. Plenty of amenities including a private beach, horseshoes and playground, and an on-site restaurant. Rates start at $53 for a standard oceanview site during the off-season (early spring and fall). 74. Seaport RV Resort & Campground – Sun RV Resort just outside of historic Mystic, Connecticut. Family-oriented campground with activities like swimming, fishing, volleyball, laser tag, mini golf, and more. Rates start at $65 per night for a 30-amp spot during the weekend. 75. Massey’s Landing RV Retreat & Campground – Luxury RV resort on the Delaware coast. Features oceanfront RV sites with grills and fire rings. Resort amenities include a pool, an on-site restaurant and store, and fitness classes. Rates start at $95 per night for a pull-through, waterfront spot during peak season. There you have it – the most extensive list of luxury RV parks on the internet. Now you can finally toss out that directory! With all the scenic views and indulgent amenities these RV resorts have to offer, you can bet your trip is going to be full of activities and relaxation. Have you stayed in any of these lavish RV resorts before? Please share your thoughts in the comments!